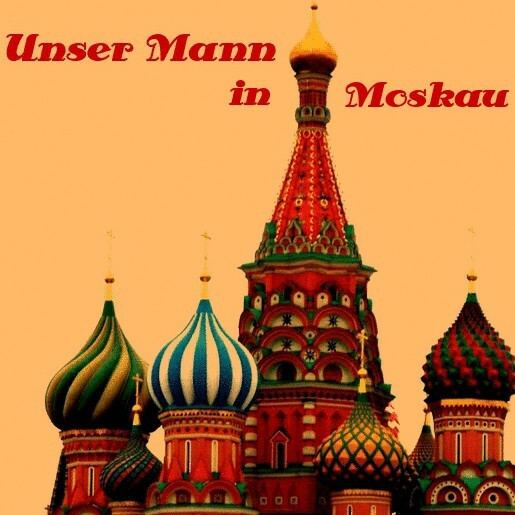 Warum es Ärger beim Zweitligisten FK Fakel Woronesch (ФК Факел Воронеж) gab, weiß einer ganz genau: Unser Mann in Moskau. Et voilà – Folge 8. It has been a season of penalties so far for Russian second division team Fakel Voronezh, although not on the pitch, as the club paid fines for unruly behaviour by fans, as well as, in a comic twist, the actions of a ‘beaver.’ The latest incident, involving the use of flares and fireworks in their home league match against longstanding rivals Sokol Saratov, led to a forced closure of part of the club’s stadium. The club’s punishment comes after fans of Fakel, who play in the second-tier Russian National League (FNL) Championship, caused their home game against Sokol to be suspended by the referee, due to smoke from flares blowing across the pitch and reducing visibility in the club’s Central Stadium of the Unions. The stoppage occurred in the 60th minute of the league fixture, which took place on 7 September and ended in a 1-0 victory for the hosts, via a penalty kick in stoppagetime. According to reports, the stadium announcer warned fans over the PA system that the use of pyrotechnics was prohibited. However, this announcement was apparently met by a volley of rockets fired from the stands. The stoppage ultimately lasted just two minutes, after which the game resumed. In light of the events during the match, the Disciplinary Committee of the Russian Football Union (KDK RFS) decided to ban home fans from 8 sectors of the ground for their home match against Sibir Novosibirsk on 20 September. The closed sectors of the stadium included those usually occupied by the most vocal fans and reduced the match-day capacity by around 7,000. The ban did not apply to women and children under twelve years of age. In addition to the closures, the club was fined a total of 65,000 rubles – consisting of fines of 50,000 rubles for fans’ use and throwing of pyrotechnics, 10,000 rubles for the use of abusive language, and 5,000 rubles for lacking proper seating in the stands. Meanwhile, Sokol Saratov were themselves fined 12,000 for the use of abusive language by fans during the same match. The club was previously fined 50,000 rubles earlier in September for the unruly behaviour of their fans in a Russian Cup game against Lokomotiv Liski on 26 August, when Fakelfans carried out a pitch invasion. Meanwhile, the club’s first fine of the season was due to the behaviour of their team mascot,‘ Favourite Beaver’, during the league tie against Shinnik Yaroslavl on 27 July, the KDK RFS judging that the occupant of the beaver costume ‘systematically’ blocked pitch-side advertising hoardings while entertaining fans during the game. The club was also fined for fans’ abuse of the referee at the same game. Fakel were promoted to the FNL in 2015, having finished top of the table in the Central Section of the Russian Professional Football League (PFL) – the Russian third tier. In the post-Soviet period, the club have experienced just four seasons in the first division of Russian football, with the last of these coming in 2001. Fakel were originally founded as the factory team of an aircraft factory in Voronezh in 1947 and, at first, did not receive an official name for secrecy reasons, before later becoming Trud (Labour) Voronezh. In 1976, the name was changed to Fakel, which somewhat ironically, given the fine for the use of pyrotechnics, translates as torch.